Be careful: spoilers on "Game of Thrones" season 7 will follow! Every "GOT" fan remembers the scene in which Ned Stark finds his sister Lyanna in the Tower of Joy. 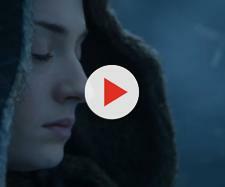 Before her death, Lyanna Stark whispers something in Ned's ear: "His name is [audio gets muffled]", and many fans thinks what Lyanna reveals is Jon's real name, his Targaryen name. Aegon (the Conqueror and the Dragon, the first King of the Seven Kingdoms and the founder of the Targaryen dynasty of Westeros). Aemon (like Maester Aemon Targaryen, who gave Rhaegar a long-distance mentorship, or even like Aemon the Dragonknight, who Jon pretended to be while playing with Robb in his childhood). A while ago "GOT" season 7 plot leaked online. A Reddit user revealed a lot of details on what is going to happen in the next season of the HBO's show and his spoilers are very likely to be true, since some details have already been confirmed. According to the leaker two "Game of Thrones" characters will find out Jon's true identity, discovering that his real name is Aegon. It's a bit weird that both Jon and Rhaegar's second son (the infant who was killed during the Sack of King's Landing, at the end of Robert Baratheon's rebellion, by sir Gregor Clegan and sir Amory Lorch) are named Aegon, although is very likely that the most of the fans don't even remember the name of Rhaegar's second son. At the moment we don't know if Jon's name in the show will match the one George R.R. Martin will reveal in his next book. The next season of "Game of Thrones" will premiere on HBO in Summer 2017, probably at the end of June. 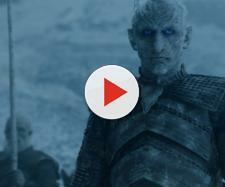 If you click the image above you can access the photo gallery and see one of the few pictures from GOT season 7 included in "HBO's Coming in 2017" video clip.